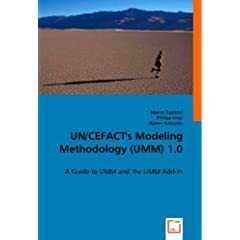 Members of the Techniques and Methodologies Group (TMG) of UN/CEFACT have published five different books/book chapters, covering the various standards of UN/CEFACT. Each book is annotated with the UN/CEFACT standards, which are covered in the publication. Business-to-business (B2B) electronic commerce builds upon inter-organizational business processes that cross the borders of enterprises. Their design and implementation presupposes a different approach than intra-organizational processes do. Experience shows that bottom-up approaches starting from the IT layer of a single enterprise – expecting that all other business partners adjust to it – do not work out. Instead, a prolific B2B design approach must consider three layers in a top-down manner: Firstly, the economic perspective identifies the players and their value exchanges within a business network resulting in a business model. Secondly, business collaboration models specify the choreography of inter-organizational business processes in accordance with the business model. Finally, the business collaboration models are transformed to deployment artifacts to be interpreted by IT systems. In this PhD thesis, we propose a design approach for B2B integration based on the Unified Modeling Language (UML) considering all three layers. Abstract: UN/CEFACT’s Modeling Methodology (UMM) is a UML-based approach for capturing the collaborative space between enterprises. It provides a language and a methodology for accomplishing B2B integration projects. UMM guides a business analyst from requirements elicitation to the design phase of a B2B system. The methodology is not bound to a certain implementation technology – hence a UMM business collaboration model may be deployed on different platforms such as Web Services, ebXML etc. This book covers UMM 1.0, the most recent specification adopted by the United Nations Centre for Trade Facilitation and Electronic Business (UN/CEFACT) known for its work in the field of EDIFACT and ebXML. Together with the UMM 1.0 specification the UMM Add-In has been developed – a plug-in for the UML modeling tool Enterprise Architect. The application of UMM together with the UMM Add-In is outlined in the different book chapters. In detail the book covers the worksheet editor, a user guide for UMM, the UMM validator, the mapping of business information to document formats, and the derivation of process specifications from UMM models. Abstract: Exchanging business information by connecting computer systems of business partners is not particularly new, but seamless integration is still an open issue. The problem domain of seamless information flows has two major dimensions. The first dimension deals with the format of the business data exchanged. The second dimension, which represents the core of this book, focuses on the business content of the information exchanged. In other words, the semantics of the business information independent of the representation format. Only if business partners have a common view on the business semantics their systems will be able to interoperate. We propose to replace the document-centric approach by a business state-centric one. Business collaborations are about managing a shared view on business states. Aligning business states between business partners requires the exchange of business information. The business information is limited to the information required to change the state of one or more business entities affected by the exchange. We define a methodology based on business state management to unambiguously describe the business semantics of a business collaboration.